The Conflict in Ukraine has seen families and communities torn apart, both in the affected country and also in Estonia, where there is a sizeable community of ethnic Ukrainians. 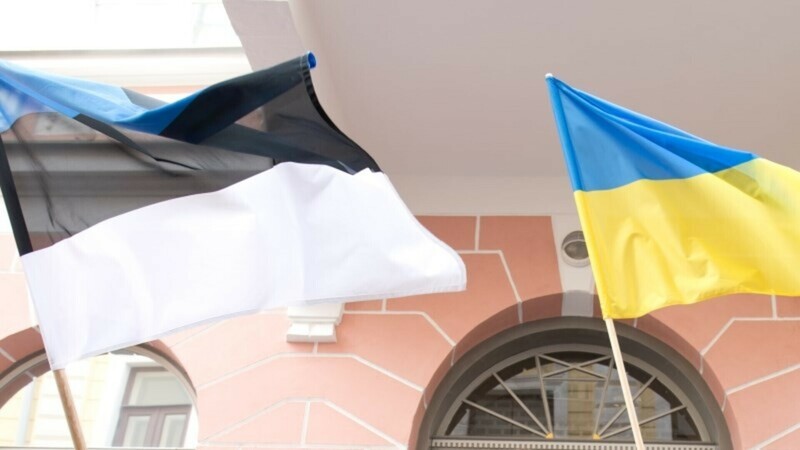 We investigate if the view of Ukraine from Estonia has changed in the past twelve months, as a result of how the conflict has affected communities and business. What has Estonia been able to contribute to Ukraine? How close do Ukrainian-Estonians feel to the country of their ancestors? Even those not directly affected by the bloodshed in Eastern Ukraine and Crimea have been forced to assess their position on topics such as Russian aggression, successful democracy, and how best to pledge support, if wished, to Ukraine. Many have taken to social media to express their view on events; at the outbreak of fighting in Ukraine, many Facebook cover photos were changed to show the Ukrainian flag colors of yellow and pale blue. In a well-argued opinion piece, ERR's Ekaterina Taklaja wondered if this sudden affinity by Estonians with Ukrainians was genuine. "I have a feeling that before the Ukrainian crisis, the local Ukrainians were 'local Russians' to Estonians," she wrote in March of this year. "Nobody could tell the difference - they all speak Russian, after all. Now the attitude has changed all of a sudden, but is it sincere?" One of the things we wanted to find out was whether attitudes in Estonia towards those with Ukrainian ancestry had changed. Vira Konyk, the head of the Ukrainians in Estonia non-governmental organization, has great personal experience in the subject: she was central to organization of a protest on Tallinn's Town Hall Square in favor of 2004's Orange Revolution in Ukraine. Her organization exists to promote Ukrainian culture in Estonia, also providing a focal point for Ukrainian-Estonians. Konyk disagrees with Taklaja's assessment. "There's always been a good attitude towards Ukrainians from Estonians," she explained to ERR News. "Ukrainians were 'noticed' somehow by Estonians" right from the start, she added. When pressed on why she felt this was the case, Konyk pointed to a shared history, for example Stalinist repressions that affected both Ukraine and Estonia. "There was also the partisan movement, until the 1950s. Both Ukrainians and Estonians, in the beginning of the '50s, had these nationalist movements - and this is why Estonians and Ukrainians feel this close mentality, because of this shared history. So you can't say there was a different feeling before the conflict." Looking back to the Orange Revolution, although it unraveled in such a sad manner some years later, Konyk has fond memories of Estonians supporting the movement. "In 2004, [former Reform Party politician] Silver Meikar participated in that revolution, and was a very strong supporter. I was organizer of the demonstration in Town Hall Square in Tallinn that year, and there were many Estonians there." At a higher political level, Estonia also became one of the first countries to recognize the Ukrainian famine of 1932-33, known locally as the "Holodomor", as a genocide of the Ukrainian people. Rather than focus on the governmental level, it is also interesting to look at how, if at all, the conflict in Ukraine has changed attitudes within and outside the community of Ukrainian-Estonians. The supposition before reporting had been that conflict would bring the local community closer together. Konyk points to the truth being rather more complicated than this. "Actually we can say it's vice-versa. The Ukrainian community [in Estonia] has mostly developed from post-Soviet people with this Soviet mentality. They tend to watch Russian media, broadcast from Russia. This media has a very strong impact on Ukrainians living here. Within the community there are disagreements. Some organize events, sending old clothes and so on to Ukraine, some think in a more pro-Russian way." 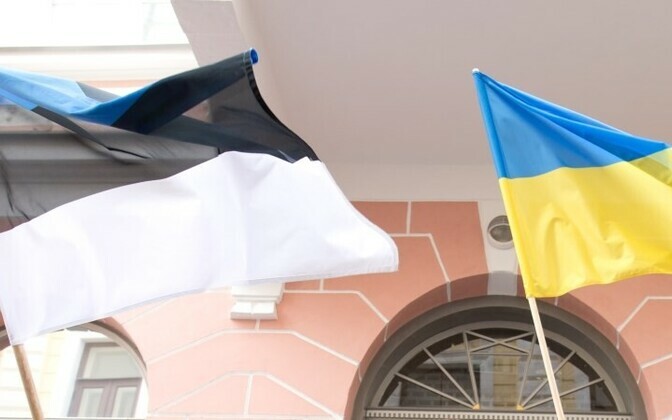 This means views of Ukrainians in Estonia on the rights and wrongs of the annexation of Crimea and fighting in eastern Ukraine often oppose those of Ukrainians still living in the country. "It's a bit different," Konyk says, "because in Ukraine people see what's going on, and they see Ukrainian media." Not all Ukrainian-Estonians view their role as being community-building within Estonia. Some feel, instead, a calling to assist in introducing Estonian business success stories to Ukraine. "I was born in Estonia, so it's a little bit twisted and mixed how many percent I'm Ukrainian, Estonian and so on, but actually, I somehow feel it's my mission," Jaanika Merilo explains. She has, since 2000, been a manager of investment funds in emerging markets, including Ukraine. As might be expected with questions of ethnicity and identity, Merilo also states the issue of perceptions toward Ukrainian-Estonians is a complex one. "If you have Ukrainian roots it's much easier to understand this mentality, and the perceptions. It's harder for me to say how Estonian perceptions have changed, because I'm half-Ukrainian and not an average Estonian." Prior to the conflict, as she explains, identity seemed less of a pressing issue. "We didn't really think about it. We didn't categorize ourselves. It was part of our identity, and before you have that choice to make, you don't really think about it. When the conflict came you had to pick 'sides', and then there was more of a variation. I'm very much Ukrainian at the moment, I just live in Estonia. I think everyone's got to make their own decisions." Merilo holds a directorship in the Ukrainian Venture Capital and Private Equity Association (UVCA) and a role as Chairman of the Management Board for the not-for-profit BrainBasket Foundation, which seeks to train an additional 100,000 IT specialists by 2020, bringing work to those most in need, including refugees from the current conflict. She describes her work in Ukraine as being focused on "pushing Estonian technology that would enable Ukrainian reforms, for example e-government solutions." Merilo says she has "never communicated in the level of communities; I have always communicated in the level of people. If working as an investor, I was working with Ukrainian government funds and so on. We're trying to influence on a structural level rather than working at a community level." Perhaps technology, the area in which Estonia has made such great leaps since reindependence, is the area to which it can make the greatest contribution with respect to Ukraine. Merilo is perfectly-qualified to judge this, sitting on the E-Governance Strategic Advisory Group that reports to the Ukrainian government. "I think we can contribute to Ukraine at this point, with reforms and so on. I think we can short-cut certain things, using solutions developed in Estonia. There are so many things in Ukraine that were [going on] in Estonia in '97, '98." "We're doing workshops on e-government, and we've been trying to pinpoint where Ukraine is on the timeline in relation to Estonia. We pinpointed that Ukraine is somewhere around where Estonia was between 1997 and '99. Ukraine is an outsourcing country; it's still not a a startup country or a product-development country. I think this is the synergy, not communicating at community levels but communicating at levels that can fundamentally change the system." The key principle of introducing e-government to Ukraine, Merilo feels, is to "pick the functionality that fits the need today." The example she cites is the 27 military hospitals currently using differing IT systems, into which the e-health infrastructure used successfully in North Estonia Military Hospital is being introduced. "Now we're copying the main functionality, giving it to Ukraine, and Ukrainians are plugging in certain databases, and whatever is needed. I've always said that local government should support the development of local IT products and local services, but today we don't have this time. Anything that could be adopted and copied cheaply, quickly and efficiently is very good. We're taking the Estonian software and adapting it for Ukraine." Ukraine's Ministry of Internal Affairs, she adds, wish to utilize similar e-government IT systems for use with the country's National Guard. When asked what she wishes to see in Ukraine in the future, Merilo is unequivocal. "I'm all about bringing our competence to Ukraine. If we could make a fundamental change to the level of e-society and e-government, and have 10-15 particular laws that would stimulate the growth of all e-government in Ukraine, I would be really happy." Although many Estonians continue to pledge their support to Ukraine, and critics have argued that there is only a limited amount of influence Estonia has on the development of the country, historical and ancestral ties remain strong in Estonia's Ukrainian community, which appears to have seen its position in Estonian society little changed by the conflict. Perhaps practical support is of more value to Ukraine than moral support. Estonia is offering practical assistance by using its technical knowhow to bring help to those on the frontline of the fighting.